LearnMMD is a place to learn about the 3D animating program MikuMikuDance, right? But do you ever think about the roots of this extremely popular program? Why was MMD created? In case you don’t know, MikuMikuDance was created to promote the program Vocaloid. If you visit the VPVP page … www.geocities.jp/higuchuu4/index_e.htm … you will see that VPVP stands for Vocaloid Promotion Video Project … and the page features the download links for MikuMikuDance! Vocaloid is a singing manipulation program where you type in lyrics so that the Vocaloid in question (Gumi, Miku, etc.) can sing the song. It’s a polished and useful program that, at the same time, can be fun! On the other hand, it ain’t cheap: Vocaloid 3 plus a Vocaloid sums up to around 200 dollars…and that doesn’t even include the shipping fee straight from Japan! However, it’s worth the money. The program lets you do so much stuff. When you open the program for the first time (after installing a Vocaloid, of course) it may look a little daunting, just like the first time you open MikuMikuDance. Let’s try drawing a note. (I’m using Vocaloid 3 for this, so it might be different for Vocaloid 2.) First, look in the top left corner of the screen below the File, Edit, and View buttons. You should see an arrow, a pencil, a slanted line, and an eraser. Click on the pencil. Now go down to where all the keyboard-looking keys are. Do you see the key that says, “C3”? Draw a note next to it. The note should say “Ooh [u:]”. Now play it using the button below “Job” at the top. You will hear your note come out strong and clear! To stop the song or to rewind, use the buttons next the the play symbol. Now let’s try stretching it out a bit. Stretch out the sides of the note to the two second mark. Now play it. The “ooh” will vibrate a bit. If you stretch it out enough, the note will fade, like an out-of-breath singer. Now how can we change the note? Click the “Lyrics” button at the top of the screen. Now click “User Word Dictionary” and then “English”. There should be a pop-up that has lots of symbols and words. Scroll down. These are the shortcuts that you use to make different sounds. Say we want to have the e sound in the word them. The symbol for that is a plain e, so left-click on the note you created and click on “Note Property”. A cool black pop-up will come up. Now enter e under “Lyric” and “Phonetic”. Click Ok, and hit play. Now a different sound will come out. Try to make your own songs with just these note sounds before making them say full words. It’s fun! To make full words, just combine the word sounds from the User Dictionary. It might be hard at first, but pretty much anything can be done with practice. You can also use background music! Just download any background music you’d like and convert it to a wave file using Audacity or any other sound-converting program you want. 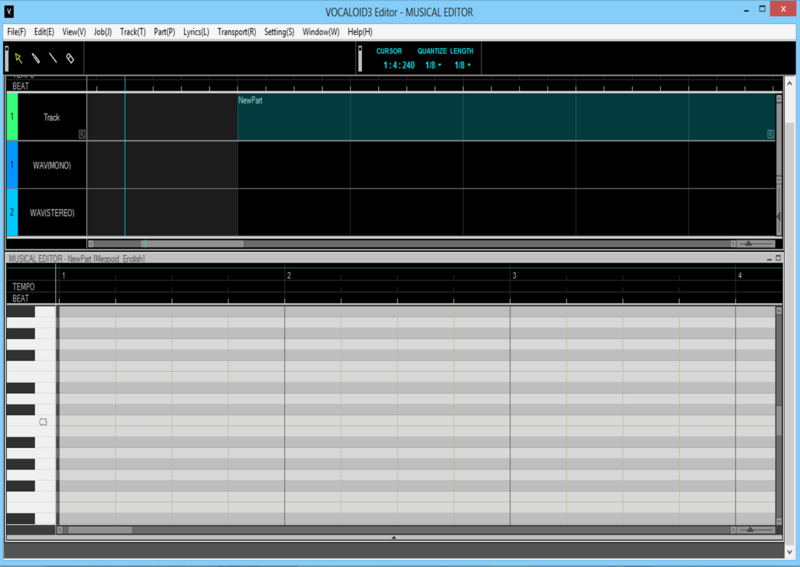 Then import it into Vocaloid using File>Import>Wave. Now you can do covers of songs or make your own background music! 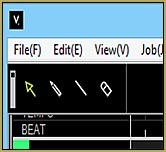 To export the songs you make, just click File>Export>Wave. This makes it easy to import into MikuMikuDance. Next article, we’ll see how MMD and Vocaloid can be used together. I’ve had fun … Hope you learned something.